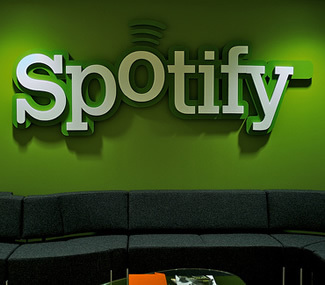 Spotify eyeing Canadian expansion, Asia and South America next? Spotify’s annual accounts report indicates the company is preparing to expand into Canada and perhaps parts of Asia and South America afterwards. The report says the Canadian expansion will further strengthen their position as the world’s largest music streaming service. The Wall Street Journal points out that Spotify established subsidiaries in Canada, Singapore and Hong Kong last year although service still isn’t available in any of these regions. That said, listeners in 15 countries have access to the streaming service including the US, the UK, Germany and most recently, Australia and New Zealand. When asked for comment regarding the Canadian expansion, a spokesperson for the company simply said they “plan to launch in new countries.” The report didn’t specify which regions in Asia and South America could be potential targets for expansion. As of last month, Spotify had over 20 million users and a catalog spanning 18 million tracks. And while this is reportedly good enough to rank as the music industry’s second largest revenue source, the company is still facing financial losses – largely in part to their expansion efforts. They posted a net loss of $56.6 million last year which could have been detrimental to their continued success but fortunately for them, they are backed by some seriously wealthy investors that are able to take the financial hit. Horizons Ventures, led by billionaire Li Ka-shing, and Founders Fund (think Sean Parker of Napster and Facebook fame) both own stake in Spotify and were among those able to ease the growing pains.